Snag the KBShimmer Winter/Holiday 2015 collection (including their charity shade Toying Around), plus the giftable pink cosmetic bag filled with a full sized bottle of Clearly On Top, a KBShimmer emery board, a .75 oz Mani Shot, Lotion Sample, Scrub Sample and Soap Sample (scents will vary). 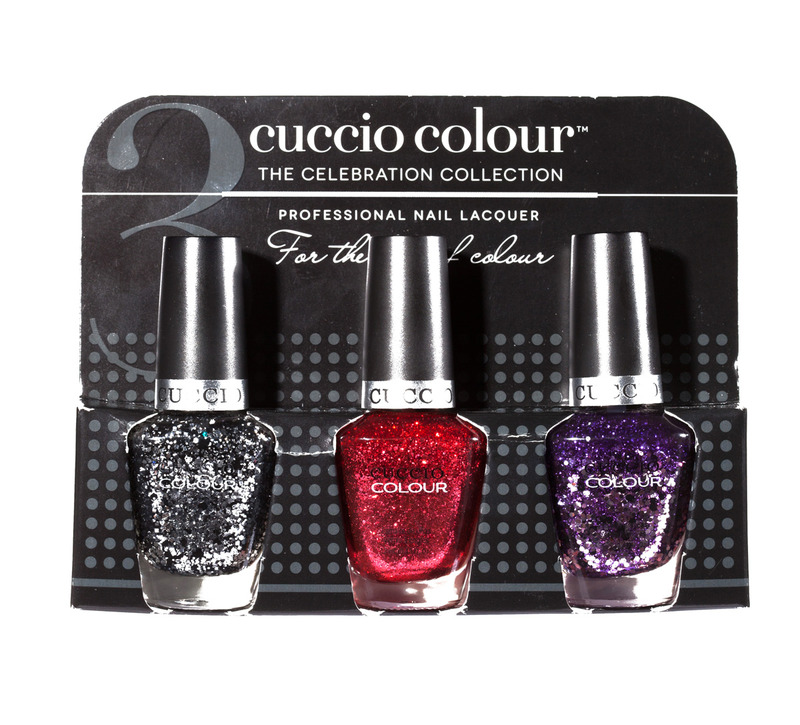 Gift this glittery trio of Cuccio Colour polishes, including Infusion Inferno, In the Mix, and Experimental. 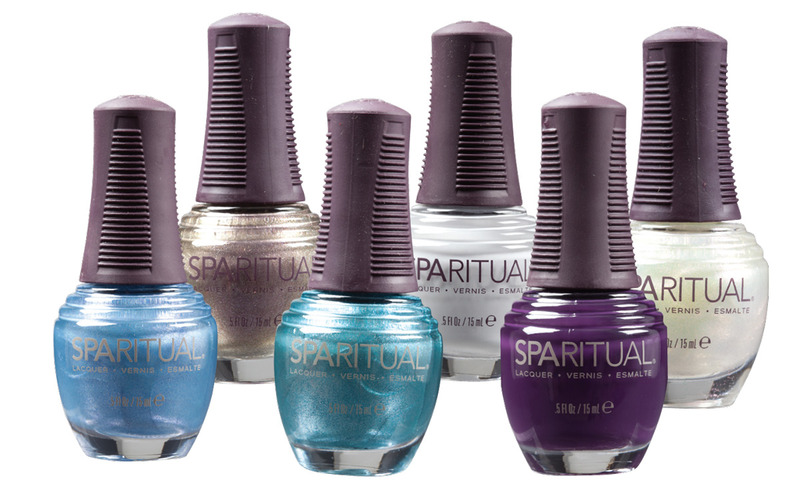 Check out the SpaRitual Awakening collection – which includes six calming colors to get you through the holidays. The set contains: Take Action, a white pinkpearl with duo chrome shimmer; In The Wild, a grey crème; Visionary, an icy blue shimmer; In Service, an aqua shimmer; Creative Activist, a lilac gold duo with chrome shimmer; and Bright Future, a plum crème. Your friends will want to get their hands on the full size festive Morgan Taylor holiday collection – Gifted With Style. Colors include: Gilded in Platinum (platinum), Tinsel My Fancy (gunmetal/silver), Ruby Two-Shoes (scarlet with slight shimmer), A Little Naughty (warm brown), I’m So Hot (wine-colored shimmer), and All Wrapped Up (amethyst shimmer). 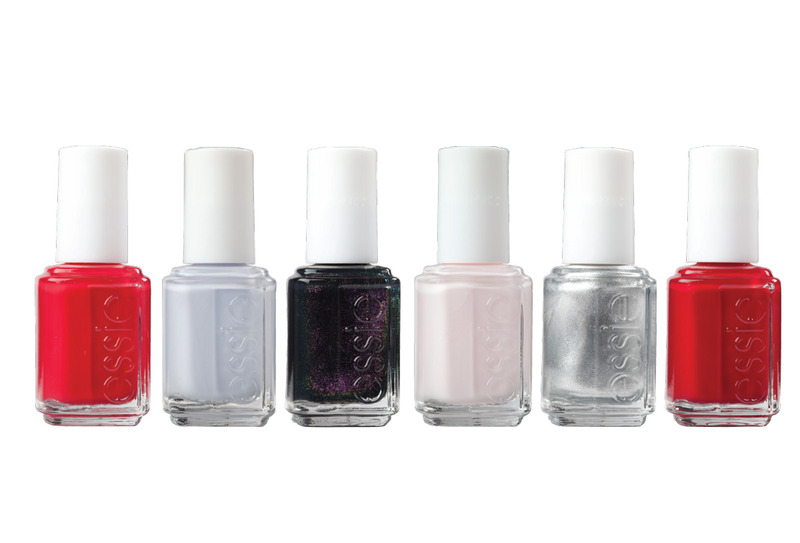 Share shades both soft and bright with the Essie Winter 2015 collection. The six piece set includes Haute Tub (black twilight), Altitude, Attitude (sublime scarlet), Virgin Snow (pristine lavender), Après-Chic (fine platinum), Shall We Chalet? (Irresistible Red), and Peak Show (pastel pink). 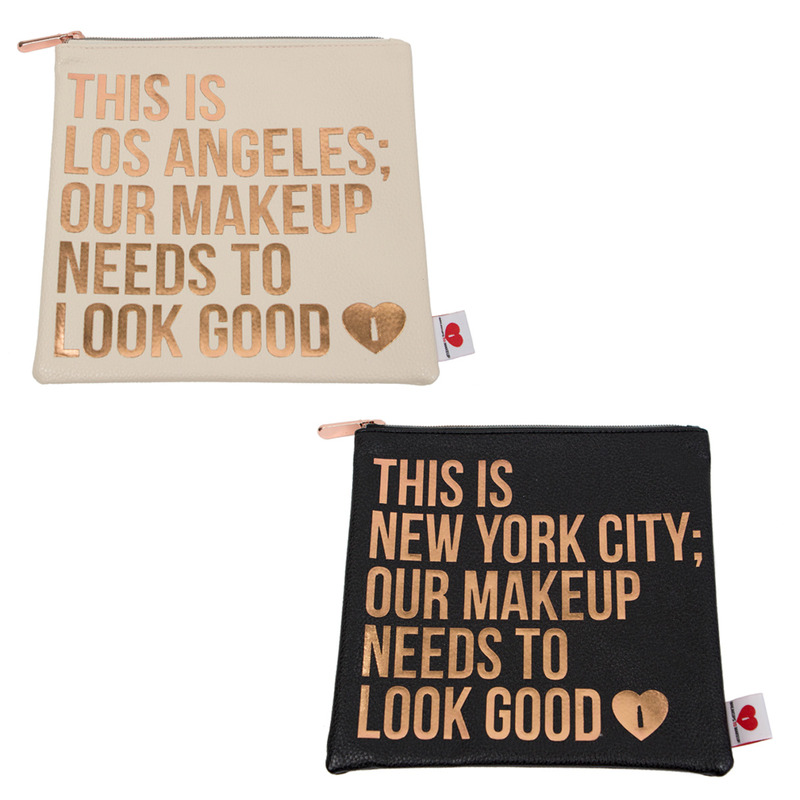 Breakups to Makeup has two new bags to story makeup and polishes: one for busy New York City gals and laissez-faire Los Angeles ladies. Share the ultra-glittery Mavala Glamour Collection! Colors include: Glam Style, Glam Ice, Glam Chic, Glam Show, Glam Rock, and Glam Fizz – all in 5mL bottles. 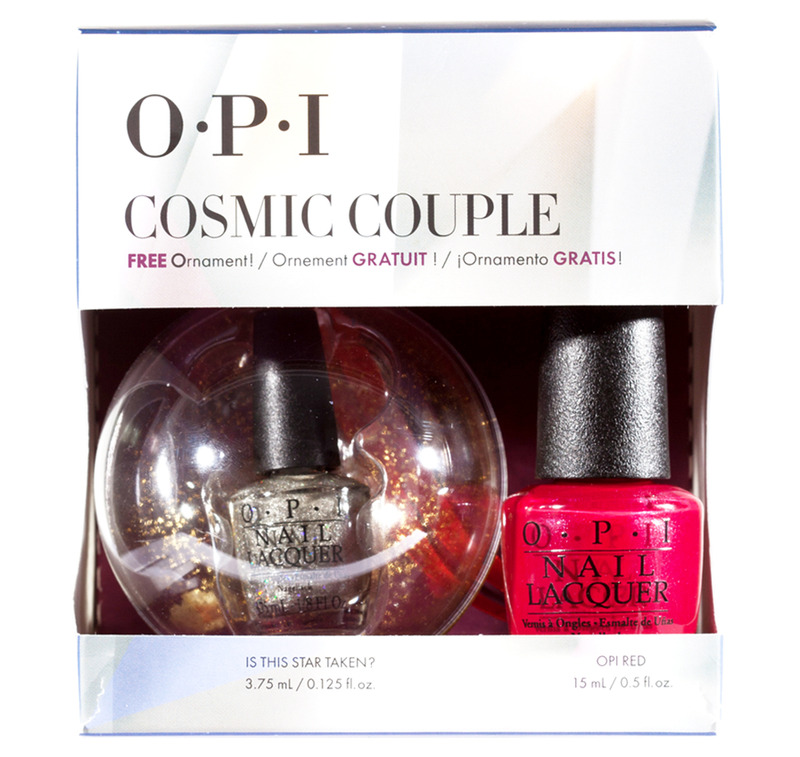 The OPI Cosmic Couple ornament set contains a 15mL bottle of OPI Red lacquer, a mini 3.75mL bottle of Is This Star Taken?, and a holiday ornament. For those who have problems with traditional polish chipping, give them the CND Vinylux Aurora Collection and a 15mL bottle of Vinylux Weekly Top Coat. Colors include: Nordic Lights, Winter Glow, Glacial Mist, and Tundra. 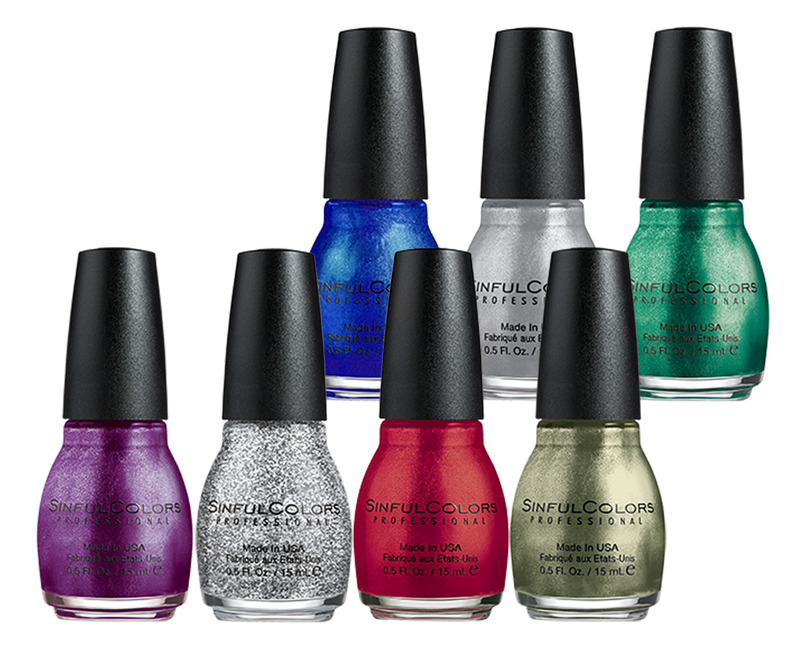 Pick out shades from the SinfulColors Glitz and Garlands and Wrap Sheet collections. Colors shown here: Purple Heart, Queen of Beauty, Blue by You, Red Eye, Pine Away, Out Of This World, and Vintage. 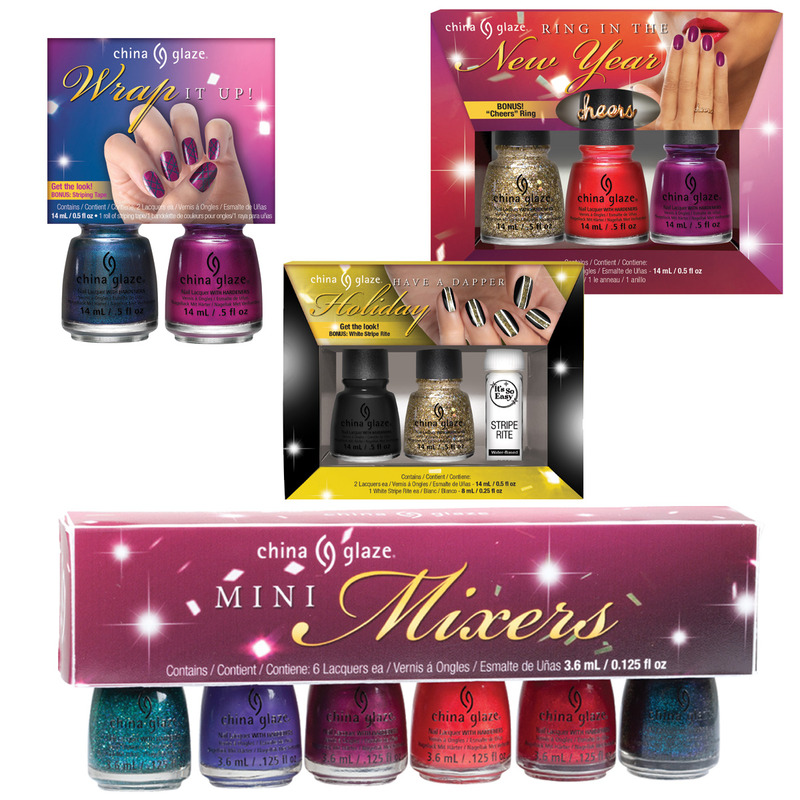 China Glaze has several kits for gifting. The Have a Dapper Holiday kit givees the tools for a classic gold and black mani, the Wrap it Up set helps you create a fishnet-inspired mani, and the Ring in the New Year kit even includes a “Cheers” ring. The Mini Mixers kit includes six 3.6mL bottles of I Soiree I Didn’t Do It, Mix And Mingle, Better Not Pout, Son Of A Nutcracker, Peppermint To Be, and Don’t Get Elfed!!!. 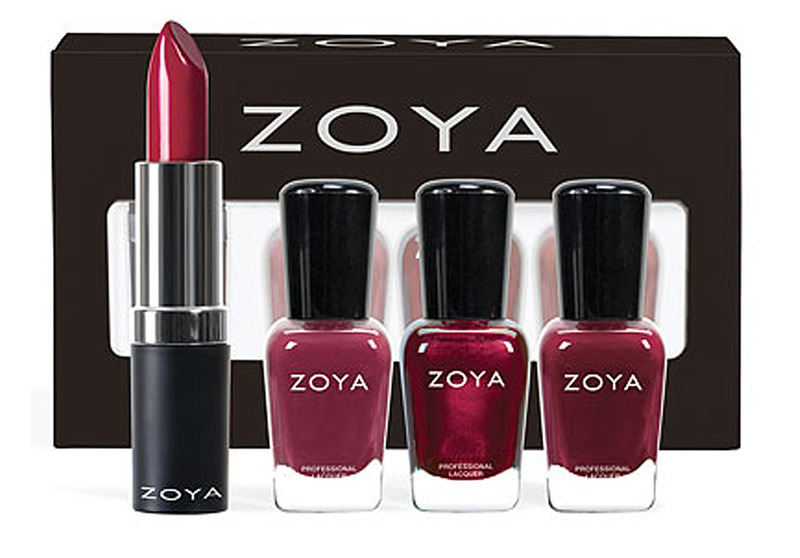 For the gal who aims to match her polish to her lips, go after the Zoya Lips & Tips Holiday Gift Set. Each contains three mini sized (0.25 oz) nail polish shades and one coordinating lipstick. 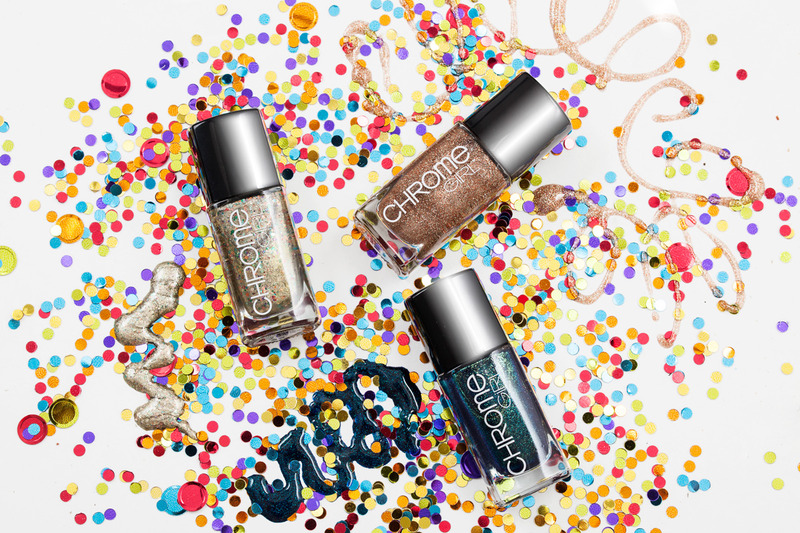 The Chrome Girl Holiday Collection features Moonfire, Mercury in Retrograde, and Earth Angel. Each of these Ciaté Oh Christmas Tree sets contains six brand new shades to the Ciaté range. The SUGARLOOM Cosmetics A Sparkly Staycation gift set includes 4 fun holiday inspired shades: Snowflake Scandal (a sparkly, yet subtle shade), Fuzzy Sweater (textured lacquer that looks and feels like your favorite warm sweater), Black Tie Affair (a sleek shade of black with a hint of sparkles and gems), and a bonus color called Mistletoe (a sweet holiday smooch of deep green for your nails). Don’t miss these Girls’ Night Out three-piece gift sets from Jessica Cosmetics. Each set contains two 0.25 oz. winter lacquer shades and a 0.25 oz. bottle of Brilliant High Gloss in a Flash top coat. Jamberry has both holiday gift sets and festive nail wraps for the season! For little ones, snag the Snow Angels kit (contains a junior holiday wrap and Ice Kissed lacquer). The All is Bright Gift Set includes everything a beauty lover wants: festive (adult-sized) nail wraps, exclusive Pear-scented Nourish, and Jamberry’s Foiled lacquer. 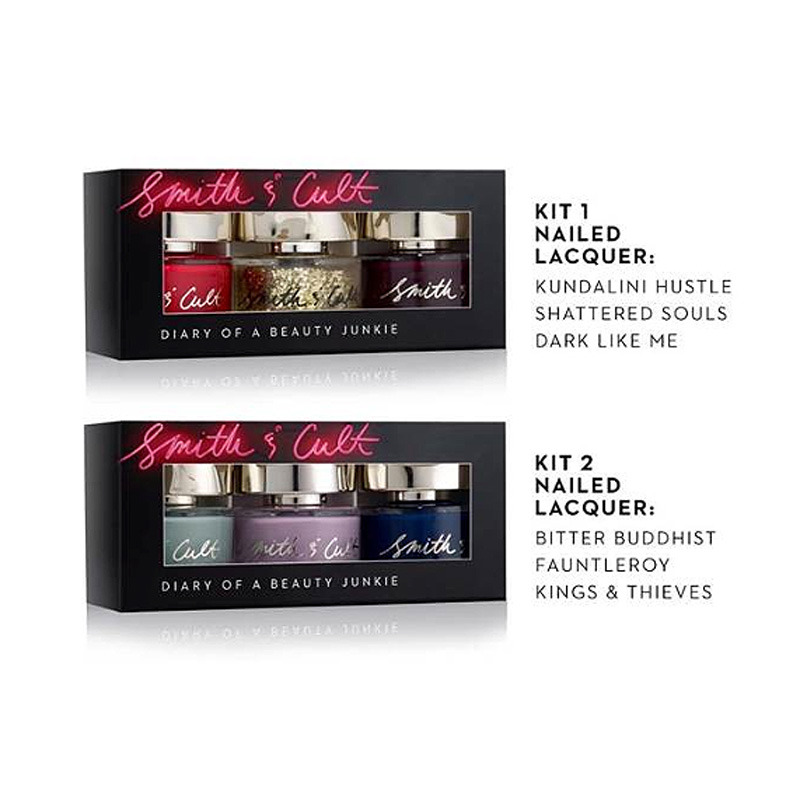 This holiday season Dineh Mohajer, Co-founder and Creative Director of Smith & Cult, created custom combinations of her classic Nailed Lacquer shades for two gift-worthy sets. Use these must-have shades on their own or mix and match for a sophisticated take on nail art. The 5-Free nail formula delivers flawlessly smooth coverage, brilliant shine and a chip-resistant finish.